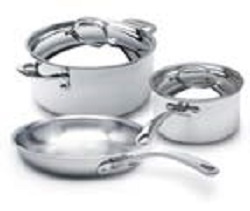 The two-toned satin and mirror finish 18/10 stainless steel exterior gives this cookware a very European look. 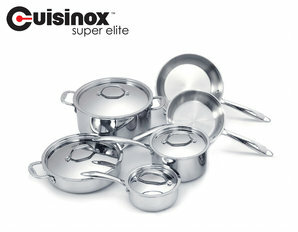 The 1.0mm heavy gauged body and 5.0 mm thick 3-ply clad thermal base gives it an impressive feel, quality and performance. 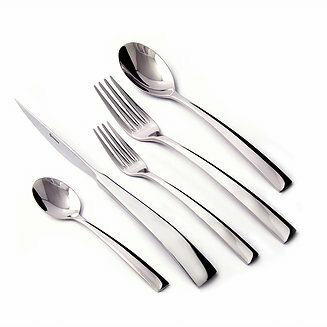 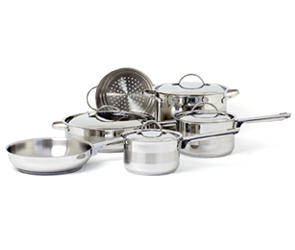 This set offers more than the essential sizes as a start to a unique culinary experience. 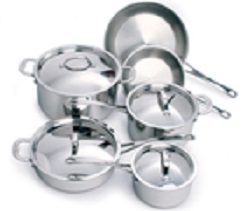 Especially designed for glass top stoves and suitable for all other surfaces including induction stoves.